The Texas Stars had a rough weekend, losing two home games against the Iowa Wild and the Toronto Marlies. 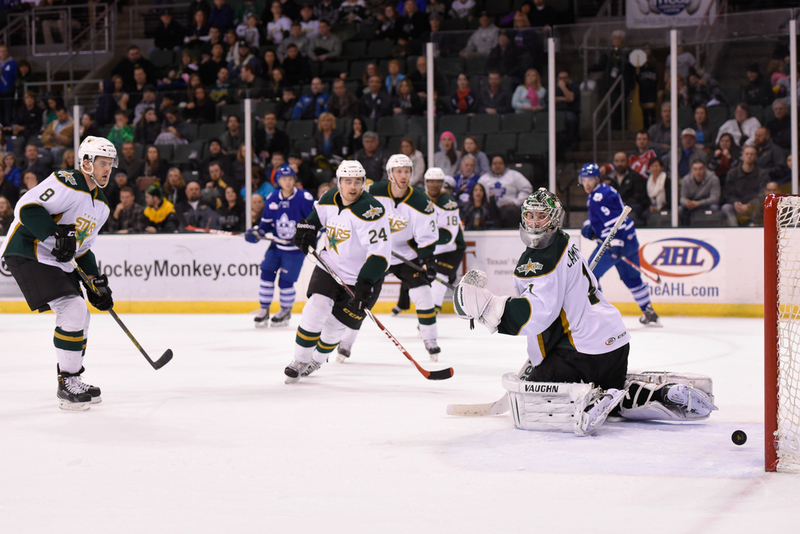 Last night was against the Marlies and the Stars did pick up a point in the overtime loss. The Marlies are a tough, physical team to play and they were all over our net. Goalie Jack Campbell did a commendable job fending off the bombardment of shots on goal but ultimately it wasn't enough for a victory. Goaltenders have a tough job in this game. Here are a few shots I got of the saves and misses.